Remember when, back in May, we told you about a case with a dinosaur skeleton transferred from Mongolia to the US, then auctioned, despite a judge declaring the act illegal? Well… good news! 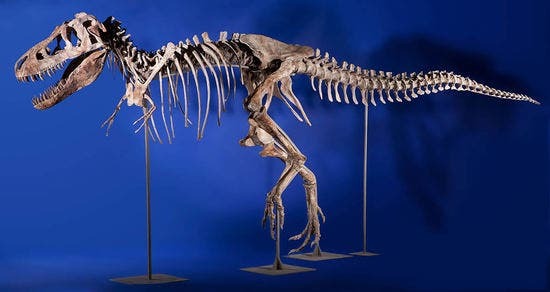 A man from the state of Florida gave an entirely new meaning to ‘grave robbing’ after being lured to the dark side of paleontology – he was caught smuggling dinosaur bones from Mongolia to the United States; the dinosaur was a Tyrannosaurus Bataar, a “cousin” of the famed T-Rex. U.S. Immigration and Customs Enforcement’s Homeland Security Investigations (HSI) special agents arrested Eric Prokopi, 38, charging him with multiple crimes, all related to fossil smuggling. Prokopi auctioned the dinosaur skeleton for over $1 million, despite Mongolian laws clearly stating that fossils cannot be removed from the country, let alone sold for personal profit. A Mongolian citizen took a picture of Prokopi physically pulling the bones out of the ground in the Gobi Desert, and even the Mongolian president was very outspoken about this incident, which could have created an extremely dangerous precedent. The good news is that the US authorities were pretty prompt to react to this situation and seized the skeleton in June – which led to a dire discovery: the Tyrannosaurus Bataar was only the tip of the iceberg, as Prokopi had numerous smuggled dinosaur fossils. As authorities put it, he was practically a “one-man black market” for dinosaur smuggling. I remember receiving over a dozen emails when I wrote about this back in May, and I was excited to see so many people interested. Well, I’m really happy to say that it all went the right way, and the case is practically solved.